Who invented Twitter? Twitter was invented by Jack Dorsey The name of the person credited with inventing Twitter is Jack Dorsey (1976 - Present). Jack Dorsey is not only famous as the American inventor of Twitter but also as a computer programmer and engineer. When was Twitter invented? Jack Dorsey invented Twitter in 2006, during the Technology and Information Age of inventions. Noah Glass (a software developer) Biz Stone (a system developer) and Evan Williams (a computer programmer) joined Jack Dorsey to co-found Twitter. Twitter originated in America is considered highly influential in the field of Communications, Information and Social Media. Definition of Twitter: Twitter is defined as a social networking microblogging website where registered users can post short messages about their opinions and current activities and read short 140-character messages known as "tweets". Fact 1: Who invented Twitter? Twitter was invented by Jack Dorsey in 2006 during the Technology and Information Age of inventions and created a global phenomenon in the area of Communications, Social Media and Information. Fact 2: Who invented Twitter? A Software developer called Noah Glass, Biz Stone a system developer and Evan Williams a computer programmer all became internet entrepreneurs and joined Jack Dorsey to co-found Twitter. Fact 3: Who invented Twitter? Jack Dorsey and Biz Stone built a prototype of Twitter hold the patent for inventing Twitter. Fact 4: Who invented Twitter? Prior to the invention of Twitter in 2006, Texting was invented in 1992 and there were a number of social-networking websites that facilitated exchanges of data, such as CompuServe, Friendster, Friends Reunited, LinkedIn, MySpace, LiveJournal, AOL Instant Messenger and Facebook. Fact 5: Who invented Twitter? Twitter achieved its huge success due to a number of different reasons. It was geared topwards short messages, maintained an informal approach, it was instant and it was current. Fact 6: Who invented Twitter? The inventor of Twitter, the man who came up with the initial idea, Jack Dorsey, was born on November 19, 1976 in St. Louis, Missouri, United States. Fact 7: Who invented Twitter? Jack Dorsey was the son of Tim Dorsey and his mother, Marcia (Smith) Dorsey. His interest in computing began in at Bishop DuBourg Catholic High School when he began developing software programs for communication devices and dispatch logistics for cab companies. Fact 8: Who invented Twitter? Jack Dorsey attended the Missouri University of Science and Technology before subsequently transferring to New York University where he developed the idea that led to Twitter. Fact 9: Who invented Twitter? Jack Dorsey dropped out of New York University before receiving his degree and in 2000 moved to Oakland in California where he started a company offering his dispatch software. Fact 10: Who invented Twitter? The dispatch software that he had developed for taxi cabs gave him the idea of of combining the broad reach of his dispatch software with the ease of realtime instant messaging. Fact 11: Who invented Twitter? The Smartphone was a relatively new device at the time. Jack Dorsey wanted to use his cellphone to send text messages to a service and have the message distributed to all his friends. However, most of Jack Dorsey's friend's did not have text-enabled cellphones and instead using their home computers. Fact 12: Who invented Twitter? Jack Dorsey had the foresight to realize that there was a 'gap in the market' and there would be a need in the near future for a text messaging service with a cross platform capacity that worked via phones, computers and other devices. Fact 13: Who invented Twitter? Meanwhile Noah Glass and Evan Williams had founded a company called 'Odeo' and its website enabled users to create, record, and share podcasts. At the time Jack Dorsey was working at 'Odeo' as a web designer. Fact 14: Who invented Twitter? The future of Odeo as a podcasting company collapsed when Steve Jobs at Apple Inc. released the iPod in 2001, quickly followed by its iTunes music jukebox software system offering legal music downloads for 99 cents per song. Apple went on to dominated the market leaving no room for companies like Odeo. Fact 15: Who invented Twitter? In February 2006 Jack Dorsey arranged an informal meeting with his friend Biz Stone, a system developer, that was also attended by Noah Glass and Evan Williams. Jack Dorsey presented his idea for a system that would enable a text message to be sent to one number that would be automatically and instantly would be broadcasted to all desired contacts. Fact 16: Who invented Twitter? Noah Glass came up with original name 'Twttr', inspired by Flickr and the five-character length of American SMS short codes. Fact 17: Who invented Twitter? On March 21, 2006 Jack Dorsey published the first prototype message to Odeo employees at 9:50 PM Pacific Standard Time that said "just setting up my twttr". Fact 18: Who invented Twitter? The guys quickly made the decision to change 'Twttr' to the self explanatory name of 'Twitter' that would get their service better known and easily requested and recognised. Fact 19: Who invented Twitter? The full version was introduced to the public on July 15, 2006 enabling users to instantly post short messages of 140 characters or less. It was a social network that centered around text messaging. Fact 20: Who invented Twitter? In 2007 Twitter was established as its own company and the hashtag (#), first proposed by user Chris Messina, debuted on August 23, 2007. Fact 21: Who invented Twitter? The text messaging social network became a global phenomenon in 2008 when U.S. Presidential candidates Barack Obama and John McCain used Twitter as a method for updating their supporters while on the campaign trail. Fact 22: Who invented Twitter? 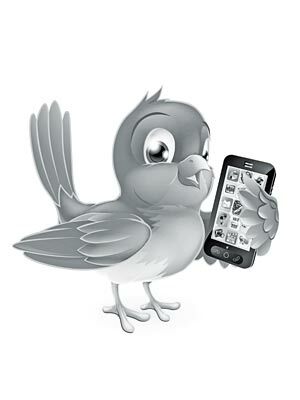 By 2010, Twitter had more than 105 million daily users who tweeted some 55 million times a day. By 2016 over 500 million 'tweets' were sent every day. Fact 23: Who invented Twitter? As U.S. Presidential candidates Donald Trump and Hillary Clinton followed their predecessors by using Twitter as a political platform to update their supporters. In 2017 President Donald Trump went on to use the social media network prolifically and unpredictably as an instant, quick fire, straight talking, communication vehicle often referred to as 'Donald Trump’s Twitter diplomacy'.